Kozhikode, Kerala: The Indian Institute of Management (IIM) Kozhikode, one of India’s top ranked business schools today announced collaboration with Stanford University as part of its premier executive education program, EPGP. Under this collaboration, 5 interrelated webinars will be delivered periodically over the course of one year by the Stanford faculty via the live virtual platform of TSW or The Second Wind, an initiative by Times Professional Learning for working professionals. Designed for remote participants, Stanford Centre for Professional Development (SCPD) Masterclass Webinar Series in Design Thinking & Innovation provides a cohesive educational experience tailored to the goals of working professionals, and therefore adds significant value to the students of the flagship program from IIMK (or IIM Kozikode). 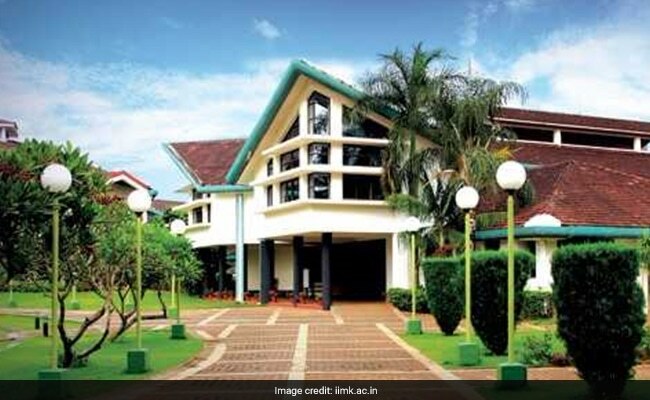 IIM Kozhikode is the first IIM to collaborate with an Ivy League University in an Executive Education Program, said a statement from the Kerala-based management institute. The participants will also receive individual certificates of participation from Stanford University. Design Thinking & Innovation will introduce participants to the nature of innovation and creativity, and how to use the design thinking process to promote and scale innovation within their organizations, said the statement. Participants will learn how to support innovative ideas and practices, design teams to foster innovative projects, identify pockets of innovation and excellence, and create processes which reveal innovative solutions to organizational or customer issues. “IIMK’s contribution in the field of Executive Education is very significant; IIMK has been consistently updating the curriculum to provide the best to the participants; Partnering with Stanford is another step taking forward the Executive Education to a new horizon. This surely will enable the working professionals from various fields gain competency and leadership skills to fast-track their career growth in their organizations,” Prof. Debashis Chatterjee, Director, IIMK said while talking about the collaboration.